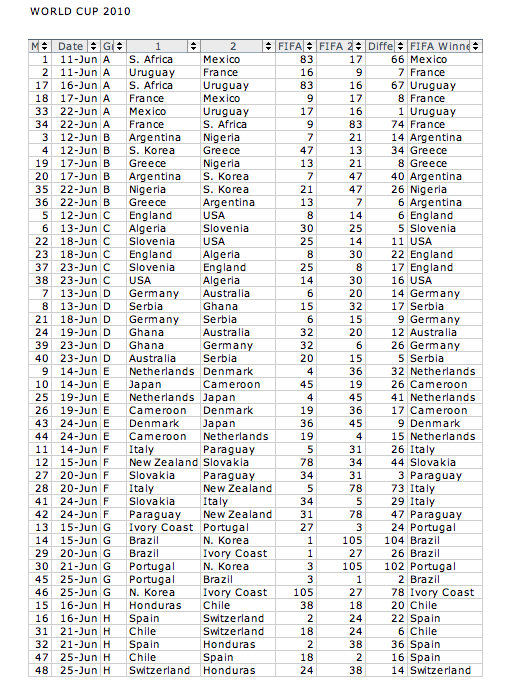 I can’t believe you did a World Cup spreadsheet too. Except I can. I also did. 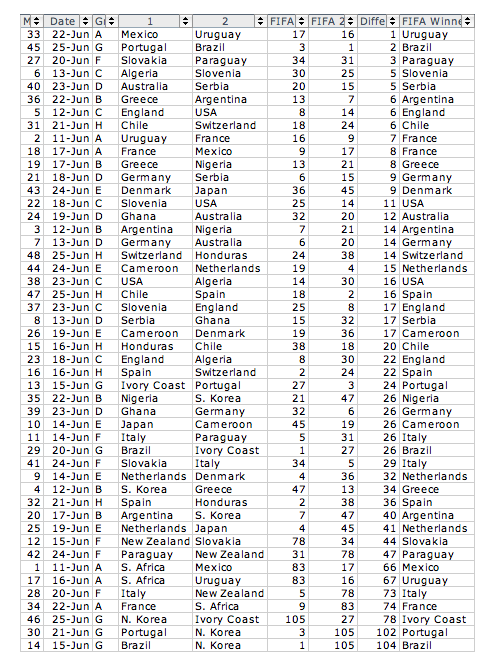 Although I did not do the FIFA ranking differential, I came up with a very similar prediction for the Cup. 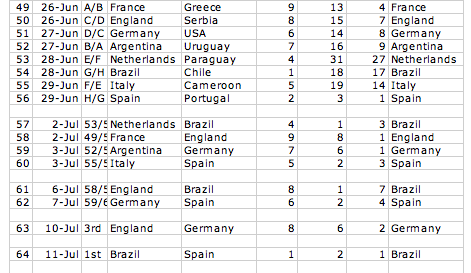 I, however, I am calling Spain as the ultimate champion.